With so many options available, it may not always be an easy job to figure out which spring you need, which is why it’s important to choose a partner who is knowledgeable about springs and who specializes in springs fabrication. There are many types of springs, and they can be fabricated in an overwhelming number of shapes, sizes and configurations. More than half of mechanisms operate using some type of a spring. 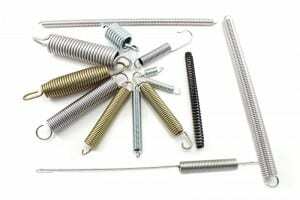 Common spring types include extension springs and torsion springs. The most commonly used mechanical spring is a compression spring. Even within the compression spring category, there are variations. They can be fabricated in many shapes available to suit different applications such as tapered, cylindrical, hourglass (concave), barrel (convex), and conical. There are many kinds of metals used for spring wires. The wires come in different lengths, diameters and shapes like round, square or rectangular. While the primary function of a spring is to store mechanical energy and exert an opposing force, the action of a spring can be altered by factors like coil diameter, number of coils, and different end configurations. The ends of a spring can be customized to help it attach to various mechanical components and include many options such as hinge, offset and straight, just to name a few. At James Spring & Wire, we know a lot about springs. After all, our founder invented the Slinky and we’ve been perfecting the science of custom spring fabrication since 1960. 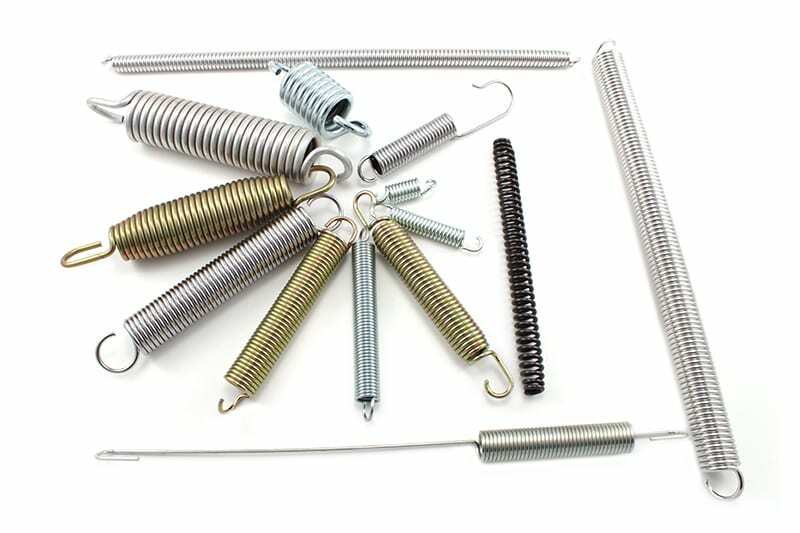 We carry a wide selection of stock springs, but if we don’t have the exact spring you need, we can design it. Not sure exactly what type of spring you need? Just describe what it will be used for and our engineers can design a unique spring to your specifications. Ordering a custom spring really can be that simple. Our spring expertise is matched only by our high level of customer satisfaction. Contact James Spring & Wire today to get started on your next project – we look forward to assisting with your spring fabrication needs.